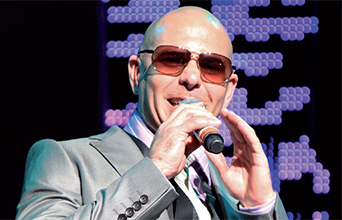 I’M so excited to hear that Pitbull will be appearing over the race weekend at the 2015 Gulf Air Bahrain Grand Prix. He’s one of my favourite artists and it’s stunning news in the wake of John Legend’s amazing performance at the Spring of Culture show last week. I just hope Pitbull shows up and doesn’t let the fans down like previous artists have done. Pitbull and a Lewis Hamilton F1 victory would make for a perfect event! THE Bahrain Irish Society is celebrating the 40th anniversary of its establishment in style this month with its annual St Patrick’s Day Ball. Widely-regarded as one of the most popular events in Bahrain’s social calendar, this year’s edition will see a crowd of some 700 revellers flock to the The Diplomat Radisson Blu Hotel, Residence & Spa in Manama on Thursday, March 19. As has become tradition, the evening will start with a reception in the foyer before the entertainment kicks off in the main ball room with live Irish dancing and music. Following speeches by Bahrain Irish Society Chairman James Kennedy and newly-appointed Irish Ambassador to Saudi Arabia and Bahrain, Tony Cotter, guests will enjoy the best of Irish and international cuisine. Having impressed so much at last year’s event, Dejaboo are flying in to Bahrain all the way from Ireland especially for the event once again and they will take to the stage with Niamh Collins rolling out all the classics to keep the floor rocking. DJ Ralph will see the night into the wee small hours, while there will be a charity raffle draw on the night, with some fantastic prizes to be won. After the exertions of the night before, Friday, March 20, will be a more relaxing day at Bahrain RFC, as it plays host to the second annual ‘Paddy’s Picnic’. As with the ever-popular ‘Picnic in the Park’ events, this is very much one for the whole family and guests are invited to bring along their own homemade picnic lunches and barbecues and enjoy the open grass pitch. Following on from the annual kids’ parade, this year’s event will feature a feast of live music and entertainment from among the best Bahrain has to offer, including The B-Side, The Accidentals and Hot Lazer. A limited number of ball tickets are still available priced BD40 for members/BD50 for non-members. Contact membership@bahrainirishsociety.com for more details.